Chris Watson describes using the beam of the lighthouse to record seals on the Farne Islands at night – and remembers the curious slow motion aggression between the fighting tortoises of Dassen Island, off the western coast of South Africa. Also in this programme, Melissa Murray re-reads ‘To The Lighthouse’ by Virginia Woolf and Dermot Bolger remembers inviting Salman Rushdie to the Baily Lighthouse at the height of the fatwa. NB: This is not a contact email address, so please don't put messages in the body of the email. Thank you. Watson was a founding member of the influential Sheffield based experimental music group Cabaret Voltaire during the late 1970’s and early 1980’s. Since then he has developed a particular and passionate interest in recording the wildlife sounds of animals and habitats from around the world. As a freelance composer and sound recordist Watson specialises creating spatial sound installations which feature a strong sense and spirit of place. 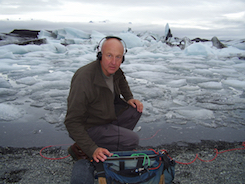 His television work includes many programmes in the David Attenborough ‘Life’ series including ‘The Life of Birds’ which won a BAFTA Award for ‘Best Factual Sound’ in 1996, and as the location sound recordist for the BBC series ‘Frozen Planet’ which also won a BAFTA Award for ‘Best Factual Sound’ (2012). In 2013 Watson received a Paul Hamlyn Composers Award. His installations have been commissioned by international galleries and festivals such as Sheffield Millennium Gallery, Opera North in Leeds, The National Gallery, London, The Louvre, Paris, the Aichi Triennial in Japan and Unsound in Kraków. 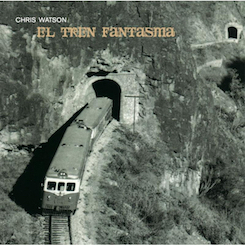 Here you can access images of Chris Watson. Click on images for high resolution version & please always credit author when used. 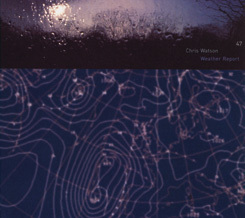 Here you can find a very helpful selection of radio progammes and soundscapes for BBC Radio 4 featuring sound recordist Chris Watson. "Take the ghost train from Los Mochis to Veracruz and travel cross country, coast to coast, Pacific to Atlantic. Ride the rhythm of the rails on board the Ferrocarriles Nacionales de México (FNM) and the music of a journey that has now passed into history." The weather has created and shaped all our habitats. Clearly it also has a profound and dynamic effect upon our lives and that of other animals. The three locations featured here all have moods and characters which are made tangible by the elements, and these periodic events are represented within by a form of time compression. 2. The Lapaich -18' 00"
The 10,000 year climatic journey of ice formed deep within this Icelandic glacier and it's lingering flow into the Norwegian Sea.